Water Heater Repairs | AllTech Services, Inc.
One of the most common service calls that our plumbers receive is in regards to hot water heaters. Most homeowners don’t think very much about this appliance—until something goes wrong. Think about it: could you imagine a life without hot water? These appliances make modern living what it is today. 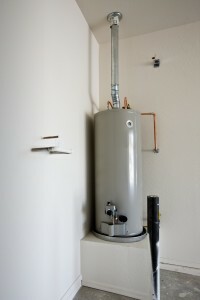 When your hot water heater malfunctions, it’s only natural for you to want to find out what’s going on right away. You probably don’t get out of a freezing cold shower and think to yourself, “Meh, it’s tomorrow’s problem.” So be sure to call our team to schedule inspections and repairs. In the meantime, read on to learn about some probable causes for loss of hot water from your water heater.